DJ JENN | DJ FAME | GUEST ---- FREE ENTRY AND WELCOME DRINK FOR LADIES TILL 01H00 !!!! 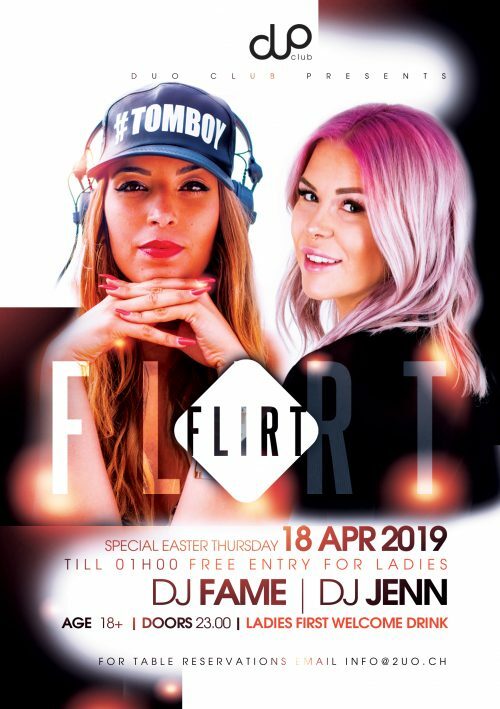 The best music selection by Djanes JENN & FAME ! ATTENTION LADIES: Your entry is FREE till 01h00 and on top you get a Welcome Drink ! Let’s share a wonderful Thursday Night with nice people !